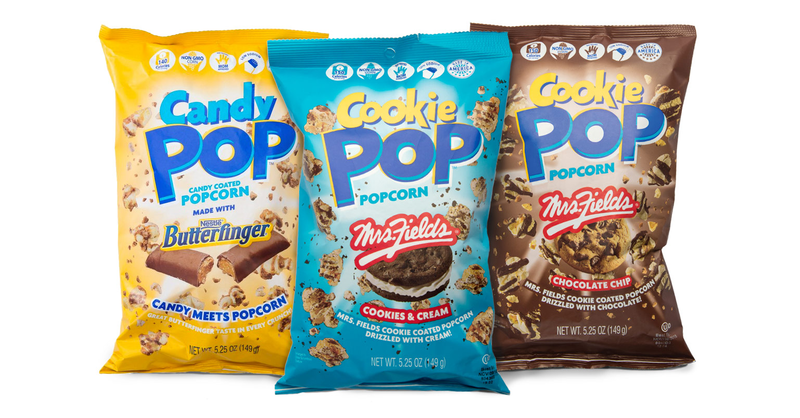 The concept for Cookie Pop came about in 2015 when founder Frank Florio started putting Oreo’s on popcorn at his home in New Jersey. He immediately realized that the combination of cookies and popcorn was a winner. It took a year but Mr. Florio and his team were able to develop the first commercialized cookie covered popcorn. Attending their first show in Anaheim, California in January 2016 was both exciting and nerve racking experience. How would the public and all of the seasoned buyers and food experts react to a single sku branded item? The reaction was well past their wildest expectations and Cookie Pop became an instant hit. It was picked up by hundreds of locations and the top brokers in the country wanted to represent the product. From that first show back in Anaheim to today, Cookie Pop has grown into 2 flavors, now including Chocolate Chip cookie, with a third on the way. Mr. Florio has also launched Candy Pop with the first flavor Butterfinger to hit stores by September, 2017. The Cookie Pop team is excited and eager to continue supplying you and your family with fun innovative flavored popcorn while at the same time taking into account nutritional levels that meet your family goals. The team thanks you for your support and aims to always place customer loyalty and quality product as a top priority for the company.